Frances Hodgson Burnett’s The Secret Garden is the story of Mary, a spoiled girl brought to live on her widowed uncle's estate when she is orphaned. Left largely on her own, she discovers a neglected garden on the property and sets about revitalizing it with the friends she has made among the servants. In doing so, she develops curiosity and appreciation for the world around her. These qualities are put to use when she finds Colin, an invalid boy hidden away in the manor, and undertakes with her friend Dickon to nurse him—and the secret garden—back to health. Burnett was an American writer known for realistically describing the behavior of children and detailing working-class life. The book, written in 1911, delves into the beneficial effects of nature on both physical and mental health and also emphasizes the importance of letting children be children. Written during a time when youth were expected to act like adults, its alternative perspective helped make it a classic. The Secret Garden is set amid the moors of Yorkshire, England, an area of undeveloped lands covered in wildflowers, ferns, and grasses. The walled garden Mary finds is full of common English garden plants. See if you can find at Brooklyn Botanic Garden some of the plants and animals described in the book. The items listed below are likely to be found in May and June. To search for plants and animals found in August, September, and October, see the late-season Secret Garden hunt! They drew the chair under the plum-tree, which was snow-white with blossoms and musical with bees. It was like a king's canopy, a fairy king's. 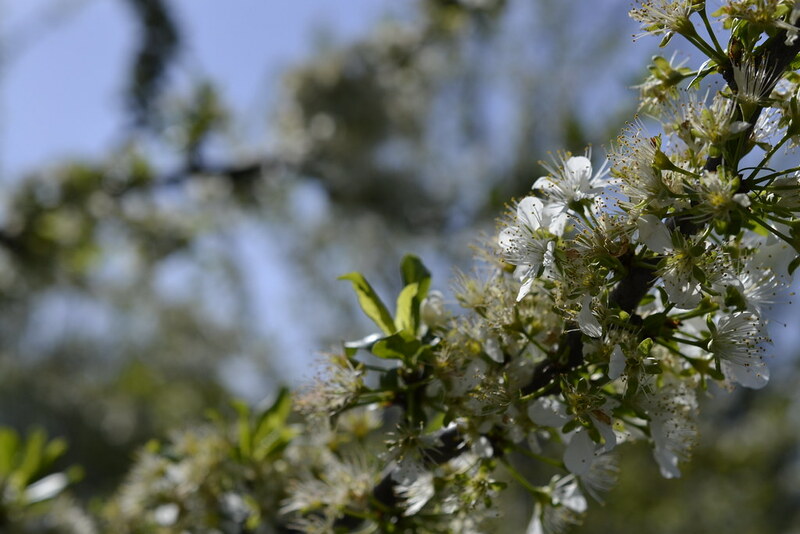 Plum trees have beautiful white flowers in spring, which develop into fruits that ripen in summer. Can you spot these trees in the Herb Garden? There were flowering cherry-trees near and apple-trees whose buds were pink and white, and here and there one had burst open wide. 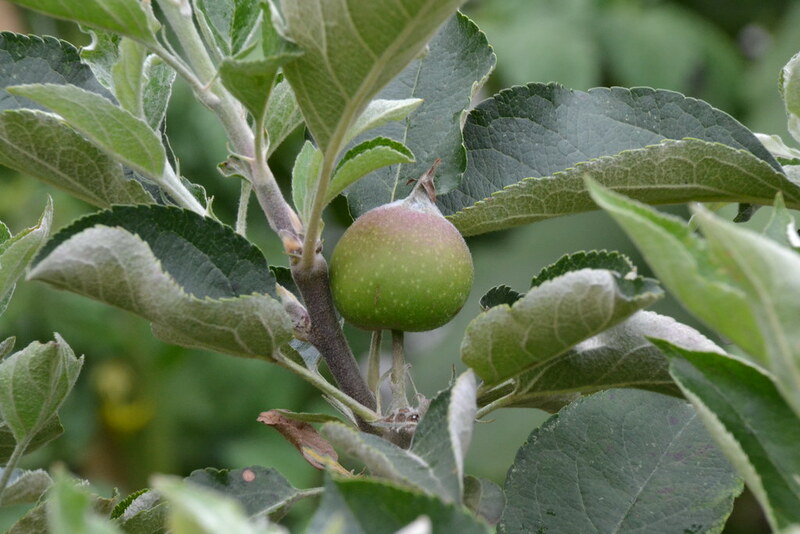 Other fruit trees, like apple and cherry, can also be found in the Herb Garden. In the robin's nest there were Eggs and the robin's mate sat upon them keeping them warm with her feathery little breast and careful wings. Robins can be found all over the Garden. How many can you spot? They lay blue eggs in the spring. Have you seen any nests? There were other trees in the garden, and one of the things which made the place look strangest and loveliest was that climbing roses had run all over them and swung down long tendrils which made light swaying curtains, and here and there they had caught at each other or at a far-reaching branch and had crept from one tree to another and made lovely bridges of themselves. 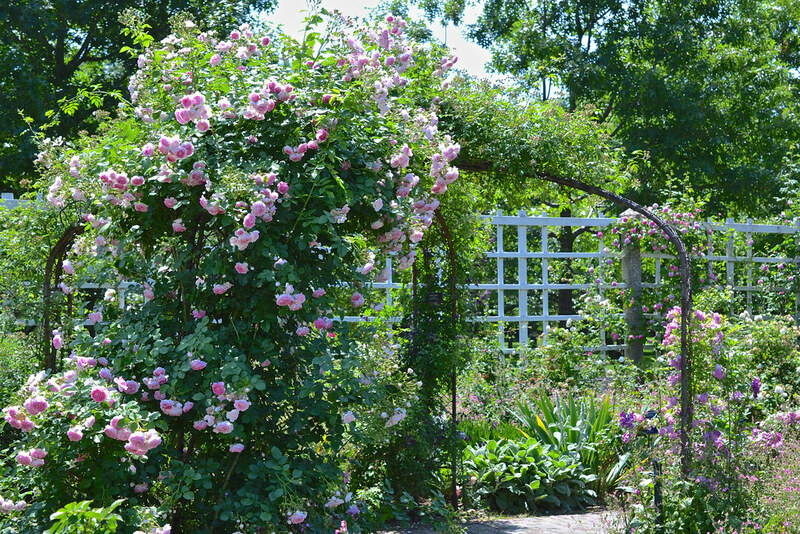 Roses of all colors, shapes, and sizes can be found in the Rose Garden and Rose Arc. Some climb on trellises like those in the book. Others grow as bushy shrubs. They will be at peak bloom in June and continue to flower into late summer. Satiny poppies of all tints danced in the breeze by the score, gaily defying flowers which had lived in the garden for years and which it might be confessed seemed rather to wonder how such new people had got there. Bright-flowered poppies bloom in several places in Brooklyn Botanic Garden in the summer. Look for them in the Rock Garden, the Annual Border, the Shakespeare Garden, and the Herb Garden. Bees love them. See if you can spot a bee gathering pollen in one of these colorful flowers. Dickon had bought penny packages of flower seeds now and then and sown bright sweet-scented things among gooseberry bushes and even cabbages and he grew borders of mignonette and pinks and pansies and things whose seeds he could save year after year or whose roots would bloom each spring and spread in time into fine clumps. The Herb Garden is a treasure trove of cabbages and mignonette. 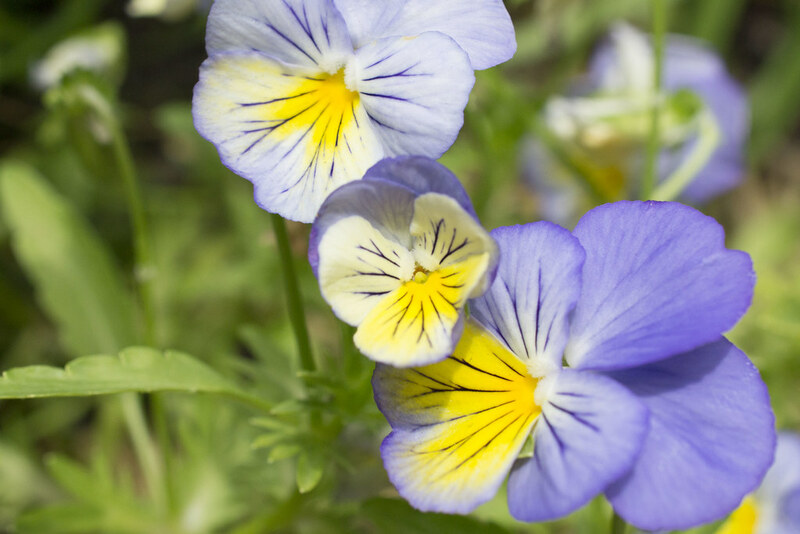 Pansies can be found in the Shakespeare Garden. See if you can find plants like those that Dickon planted. He took his way, as Mary had done, through the door in the shrubbery and among the laurels and the fountain beds. The fountain was playing now and was encircled by beds of brilliant autumn flowers. There are several types of plants called laurel. Most at the Garden are evergreen shrubs that produce pretty spring flowers, called mountain laurel. 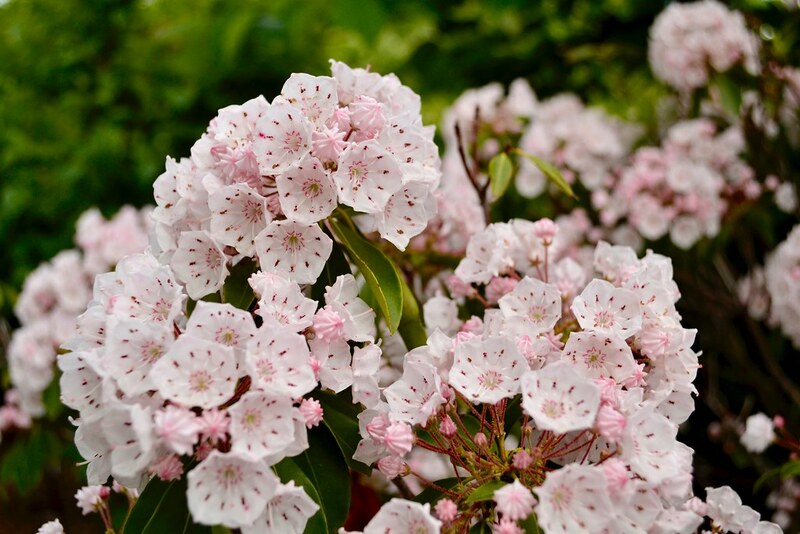 Mountain laurel can be found growing in the Discovery Garden and the Water Garden. To search for plants and animals found in August, September, and October, see the late-season Secret Garden hunt! Thanks for posting, this will be very help to me in my own garden here in Boston. 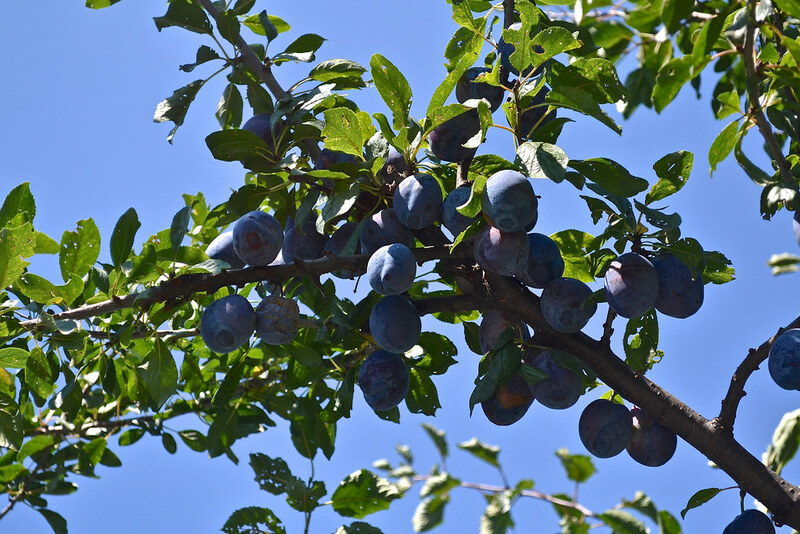 Plums (Prunus domestica) in the Herb Garden. Photo by Morrigan McCarthy. Prunus domestica (European plum cultivar) flowers post-peak in the Herb Garden. Photo by Blanca Begert. Malus domestica cultivar (apple), at the Herb Garden. Photo by Lee Patrick. 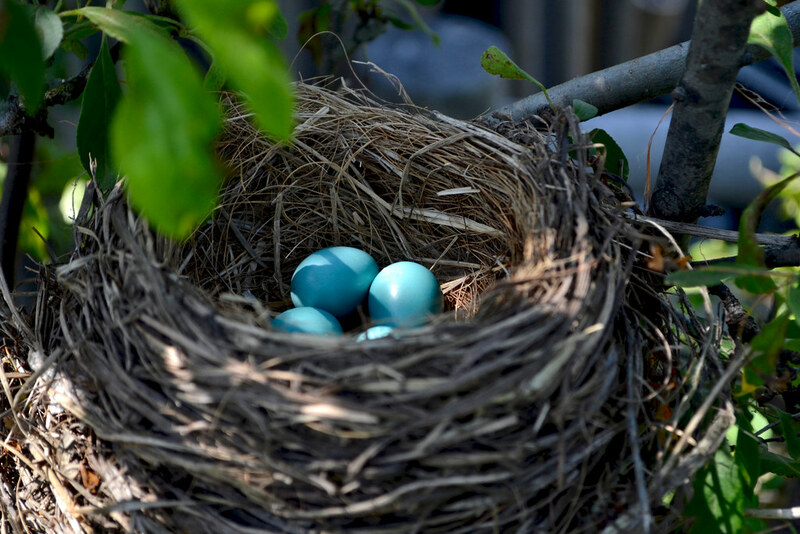 Blue eggs in a robin's nest. Photo by Blanca Begert. Rosa 'Iceland Queen' (large-flowered climbing rose) in the Cranford Rose Garden. Photo by Morrigan McCarthy. 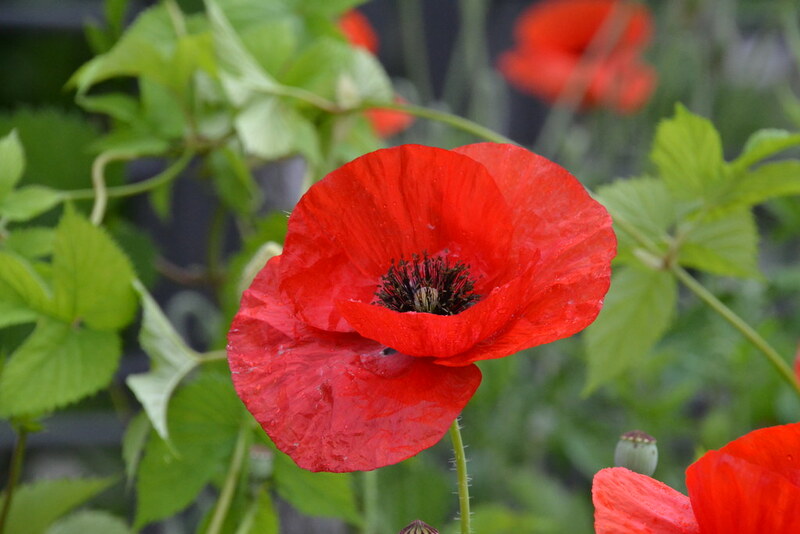 Papaver rhoeas (corn poppy), at the Herb Garden. Photo by Lee Patrick. 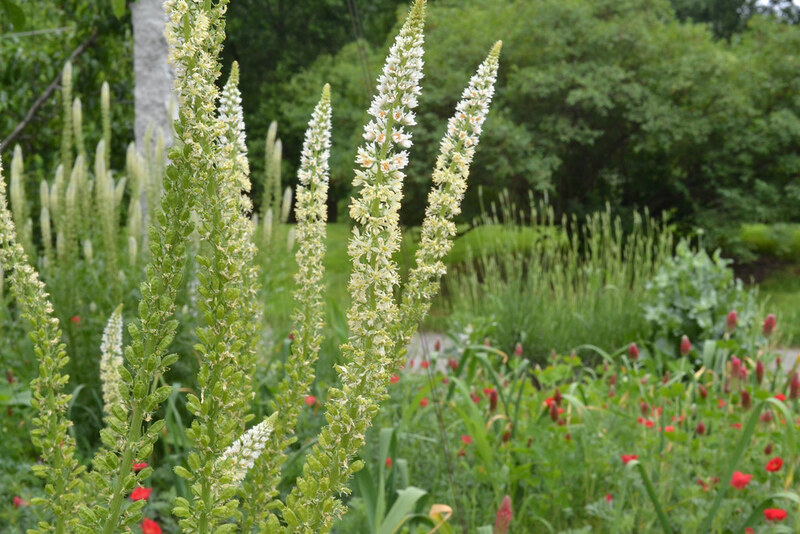 Reseda alba (white mignonette) in the Herb Garden. Photo by Blanca Begert. Viola wittrockiana 'Ultima Morpho' (pansy) in the Shakespeare Garden. Photo by Alvina Lai. 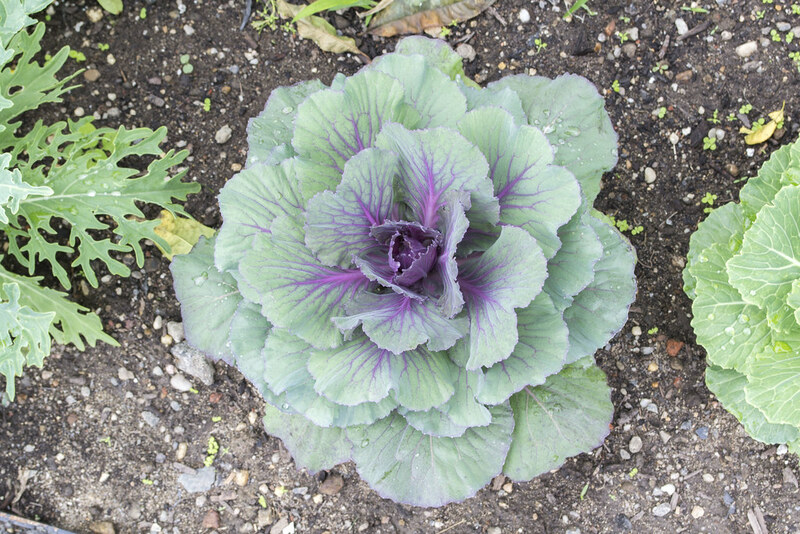 Brassica oleracea 'Color Up Purple' (cabbage) in the Herb Garden. Photo by Alvina Lai. Kalmia latifolia (mountain laurel) in the Water Garden. Photo by Blanca Begert.